8th May. By admin. Posted in 365 Things. 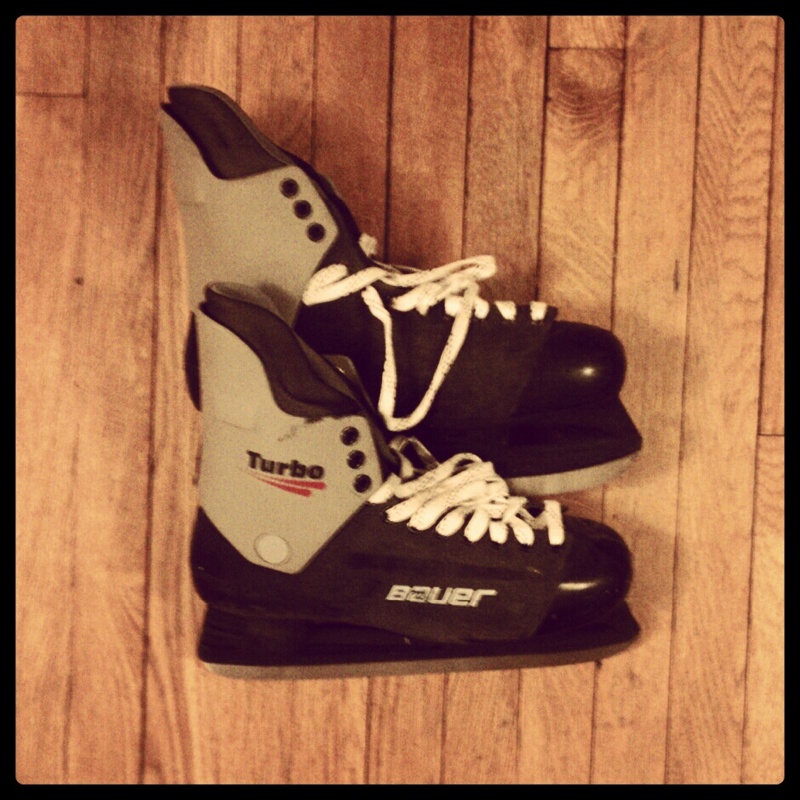 Bauer Turbo ice hockey skates. I had a brief infatuation with ice hockey during my freshman and sophomore years at Boston University. I believe I was able to take hockey skating as an elective class, and I think it was .5 credit. I guess that happens when you attend one of the biggest hockey schools in the country. And I think we were pretty good those couple of years. I, however, was not so good, nor am I much more capable on ice skates now. But it was nice to live in that fantasy world of slapshots and one-touch passes, holding onto a dream that maybe one day I would be talented enough to jump into a weekend league or the occasional pick-up game. That never happened. By the end of college I traded hockey for filmmaking and art, and I think I made a great decision. I’ve probably watched five hockey games from start to finish since graduation, and that’s most likely an exaggeration. Plus, I’m too fragile these days for hockey (as evidenced by my earlier snowboarding accident and clavicle break), or maybe I should take a hiatus from winter sports altogether.